In the streets of Myanmar, it is not too difficult to find donuts, fried breads, fried potato cakes and countless other types of fried food. Observe the local life, while enjoying crispy dishes served with special sour, spicy, sweet sauces. 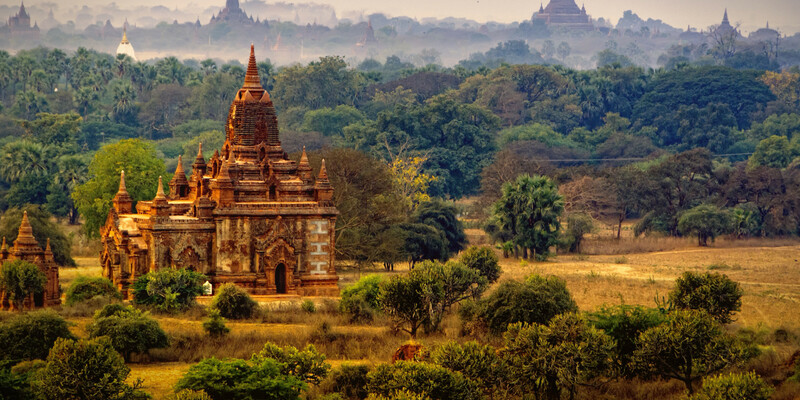 Leaving aside the Burmese cuisine means that your Myanmar tours are not yet complete. Most fried foods in Myanmar are made from sticky rice flour or rice powder. People often mix powder with typical spices such as onion, garlic or ginger puree. This combination of flavors can create a delicious and tasty taste in Burmese cuisine. In addition, some flour cakes are mixed with coconut fiber, sesame seeds, tomatoes, curry powder ... to make fried cakes with different flavors. Fried snacks are sold in most streets of Yangon in Myanmar. The people of Myanmar are almost obsessed with dishes cooked in this way. Therefore, fried cakes can vary in size and shape. The most popular dishes often seen on Burmese street markets are spring rolls, donuts, fried breads or a variety of other delicious dishes with an excellent crispy flavor. Delicious fried dishes served with the special sauces make an irresistible mixture of flavors. The stuffed croustades and the very yellow and crunchy fried breads with a special flavor are served with a kind of sweet and sour sauce made of tamarinds, which have drawn tourists. Fried dishes are part of the Burmese cuisine. Accompanying condiments bring a sophisticated aroma to cakes frying in oil. Make a Myanmar travel to discover the special dishes that you’ve never experienced before.